Malena... Malena... Malena... How many young fantasies were flourished and cherished in that name! Monica Bellucci became the heartthrob of billions with that sensational character in the movie Malena (2000). She is often credited as 'Italian Bombshell' and the 'Most Sexiest Woman' in the world. Monica Anna Maria Bellucci is an Italian actress and fashion model. Bellucci began her career as a model and made a transition to Italian films. She played the role of Persephone in the 2003 science-fiction films The Matrix Reloaded and The Matrix Revolutions, Mary Magdalene in the 2004 biblical drama The Passion of the Christ, and Alex in the controversial art film Irréversible. Bellucci was a Bond girl in the 2015 James Bond film Spectre, making her the oldest Bond girl in the franchise. 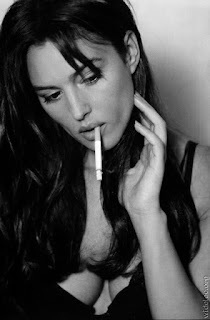 Let's flip through a collection of extremely beautiful photos and wallpapers of Monica Bellucci.